This is what I feel like has happened to my blog over the past month or so. Getting hacked is not something that they warn you about before blogging. Despite coming from a web dev background, it was nowhere on my radar. Certainly not to the extent of the headache that it caused. One little piece of code can have such deep and damaging ramifications. This was one was good. I’ve got to hand it to the creator. But, now, everything is all cleaned up and we’re rid of it. I thought it was most appropriate to dedicate today’s Friday 4-1-1 to some of the things getting hacked taught me. Blogging is much more than just writing blog posts – everywhere you look about tips for blogging, one of the first things you see is how much dedication it takes. Most of the time, “dedication” is tied to posting regularly and getting engaged with your audience. But getting hacked takes “dedication” to the next level. Posting and getting engaged is central to the success of your blog. But you’ve got to be prepared to trouble shoot technical issues and ultimately fix them. You’ve got to think about SEO and creating the proper tags on your pages. Titles. Site map. You’ve got to make sure everything is good with your analytics. For me, right now, posting is the least of my concerns. Making sure that the integrity of the site – security and optimization – is in order is the thing that keeps me up at night. If you’re not familiar with code, learn it or hire someone you trust who does – I am not a coder. I don’t want to look at code and decipher what needs to be done. I get so impatient with it. And this hack job was no little thing. So, there’s finding rogue code and trouble shooting that goes along with working your way out of something like this. If you’re not prepared to do this, make friends with someone who can and will. Or it could just be the end of your blog. Even though you can’t blog, continue communicating with your community – admittedly, I have not done a great job of this over the past few weeks. But that’s the beautiful thing about all of the social channels that we have now. You don’t have to be tied to one to engage with your community. In fact, it could open up other opportunities that you might not have had on your blog. I have to keep trying this daily. It’s hard. Inspiration is all around, don’t close yourself off – I might have not been able to post anything to my blog for the past few weeks, but that didn’t stop me from searching, being open to inspiration, and jotting down ideas for posts. Often times, I think us bloggers get so attached to our blog that when something like this happens and it’s closed off, it stifles permission to be inspired and documenting it. Yes, we do have other channels to engage with, but the act of curiosity shouldn’t be tied to the state of your blog. “Duh” – I’m using this as an opportunity to re-launch the look and feel of this blog. This notebook theme is perfect for the spirit of this blog, which is really based on exploration and journey. I am informal with varying levels of thought. I’m exploratory and open for not having the answer. I’m still making some design changes (coming in the next few days), but for now, I’m going with this simplistic approach. What do you think? “Uh-huh” – there have been quite a few people who have helped me out in this time, who quite honestly, absorbed a lot of the headache for me. Ian and his team, Ryan, Christian, and Dave – thank you all. I really, really appreciate the work, the advice, and just the moral support that you gave me. Here’s to a non-malwared, scary-message, hack-free site for the (hopefully) long-term. This entry was posted in Friday 4-1-1, Marketing and tagged blogging, Friday 4-1-1, inspiration, marketing on 09/23/2011 by Mike Cearley. The mac mini – when I was creating the Intellibooth software, one of our challenges was also finding the most appropriate hardware. 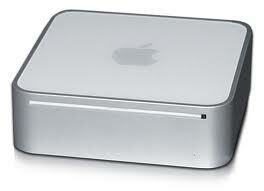 We ended up using mac minis to house and run the software, primarily due to its small footprint. We could work it into any fabricated structure pretty easily and beyond that, could ship many of them in an efficient manner. In addition, we could load our Windows-based application onto it, plug all of our peripheries into it, and in a pinch, switch them in and out if anything went wrong. In short, this one little box enabled us to focus on what we really wanted to focus on – creating the front-end experience – so we could make a business of that instead of messing with the hardware game. 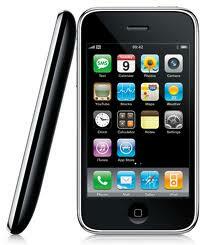 The iPhone – in early iterations, the phone was more of a novelty than anything else. Yes, it was powerful, but no one really knew how to unlock the potential, both from a developer’s standpoint and a user’s standpoint. The possibility of integrating digital signage communications with mobile phone communications would probably not be at the stage its at right now without the introduction of the iPhone. It did change the landscape of phones, but it also changed the landscape of “out-of-home” in a literal sense. Now, it’s possible to interact with the places and things around us – not to mention, physical screens outside of our homes – in (very) large part thanks to the iPhone. 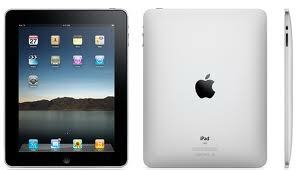 The iPad – did you hear about the restaurant that is now using iPads for their entire customer experience? Menus, out. Credit card machines, out. It’s all iPads. Here are the two major impacts that this device has on the digital signage industry, in my opinion – 1) the more people get used to using a “high technology” (and touchscreen) device like this, the more they’ll feel comfortable using other unique touchscreen devices and 2) the more people get comfortable operating on a non-tethered device, the more they’ll feel comfortable using a “foreign” device outside of their homes. iOS – perhaps the largest contributor to interactive Out-of-Home signage is Apple’s operating system that is founded on gestures like swipe, tap, and pinch to actually navigate through the experience. These gestures are commonplace with the “average” consumer today, thanks to iOS. This type of touch and gesture control – and the comfort level using your fingers to control something this way – is a foundational element to interactive signage. 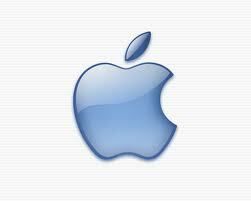 Apple has made it infinitely easier for the industry to work through any intimidation barriers that might be around. “Uh-huh” – the brand is iconic. To build something like this is what all brands and executives hope for. “Duh” – have you ever heard that old adage, “it’s simple to make something hard, but it’s hard to make something simple”? Well, that’s what Apple has done throughout the years. Part of their beauty is in their simplicity. The digital signage industry, particularly as it relates to interfaces and experiences, can take many things from Apple. When it’s simple to use, it’s enjoyable. And joy has to be present for any positive experience. Thank you, Steve. This entry was posted in Emerging Technology, Friday 4-1-1, Marketing, Mobile and tagged Apple, Friday 4-1-1, Interactive Out of Home, iOS, iPad, iPhone, Mobile, Out of Home on 08/26/2011 by Mike Cearley. Do you spend a considerable amount of your time pitching new business? If you’re anything like me, there’s probably not a day that goes by that you don’t have pitch someone a new idea. But new business is kind of a different monster. I think a lot of the same principles apply to simply pitching ideas and pitching pieces of business, but today, I want to focus on new business pitches. Whether you’re going at it alone or with a group, here are some tips that might help make your pitching more successful. Let your ego go – if you’ve gotten as far as pitching, you’ve obviously got the tools to get you in the door. Whether that is a phone call, a note, a written proposal – there’s something about you and your offering that has put you in the position to walk in that door and pitch. So, as soon as you start the pitch machine, let your ego go. Leave it at the door. You will need to make concessions and compromise throughout the process in order to bring forward the best story for your potential client. There is a point in the process, as early as the initial outreach, when it stops being about you and starts being about them. Personal egos typically cloud great solutions. The aggregate is more powerful than 1– this is certainly the case as a team. Each person on that team should bring something that others do not. Therefore, each person working together, contributing their part, should bring together 1 solid story. If you’re not pitching with a team and you’re going at it alone, bring others – friends, colleagues, mentors, trusted advisors – in along the way. Bounce ideas or stories off of them. Get advice. Pitching is a process that results in a story with a particular shape to it. I’ve found that shape to be more powerful when multiple people have their hands in shaping it vs. 1. Identify strengths & turn them loose – sometimes roles on the pitch team are defined by actual roles within the organization. It can be assumed that the most senior person on the team should take the lead in the pitch – open, close, drive, etc.. That might not always be the case. Perhaps that person is best to bring the positioning to life. Or to tell personal/relevant stories. Or to bring to life creative ideas. As early on as you can, identify the strengths of everyone on the pitch team, assign roles, and let them rock it out. To be clear, this is not a divide-and-conquer approach. It is simply intended to let people shine at what they’re best at. If you’re going at it alone, really focus and spend time on those components that play to your strengths. Don’t ignore the others, but at the same time, don’t compromise anything that could give you a really good chance to win the business. Passion could be the silver bullet – I’m overstating the idea that there is a silver bullet, I know. But I don’t know that there is anything more powerful than passion. If you can tap into your own passions and those of your team members, do everything you can to get out of the way and let it come through in the pitch. People in the room can feel passion. It’s infectious. And you want to work for clients who get jazzed by that. What are you passionate about? Can you bring that forward? “Duh” – Keep it simple – there is usually a specific ask that you are pitching for. Is it to brand or rebrand a product? Is it to create a communications plan? Is it to create a specific solution? More often than not, that’s exactly what they want. I think that we, in agencies, like to read between the lines and interpret what clients really want, based on what they are and/or are not saying. Start with answering the specific ask. And beyond that, in every facet of the pitch, ask yourself, am I telling, showing this in simplest way? Simple does not mean not well thought out or elementary. Simple simply means simple. “Uh-huh” – What do you want to be remembered for? – as soon as you walk out of that room, after the pitch, the client is going to remember you for something. What do you want that something to be? Answer this early on and let it be your guide throughout the entire process. In the end, clients want to feel comfortable that you and/or your agency has the experience and the ability to do the work. You’ve got to show that to them. But they also want to partner with a team they can see themselves working with. This comes through in personality and passion. It’s not just the brains that will help you win, it’s the heart, too. Don’t underestimate the heart. Now, go win some business. This entry was posted in Friday 4-1-1, Marketing and tagged Friday 4-1-1, new business, pitching, teamwork on 08/05/2011 by Mike Cearley. What do you get when you combine RFID technology with a driving range? 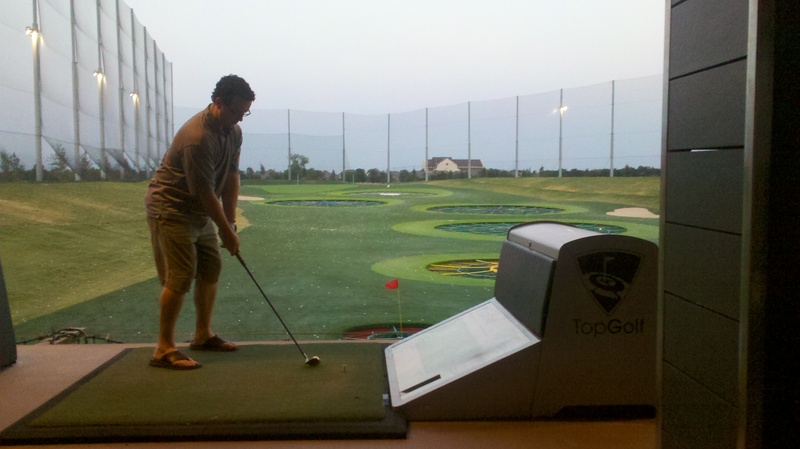 You get Top Golf, a modern version of the tired, old place you go to hit golf balls into a wide open field. I’ve seen and heard of these places around Dallas for the last few years, but I hadn’t ever experienced it for myself. Until last week. And let me tell you, it’s a night full of fun. The place is popular and always crowded and a large part of the draw is the technology behind the experience. Of course, no one really cares about the specifics of the technology – they just want it to work – but it’s the technology that creates the draw. Or rather, it’s the technology that enables the experience that creates the draw. Without the technology, the place wouldn’t be nearly as popular or crowded. It would essentially be a swanky, country club version of a driving range. But the technology separates and elevates it from any other driving range experience you can have. So, let me tell you about it. The game – the place is one of those multi-level driving ranges. There are 3 levels with at least 30 bays on each level. The bays are complete with lounge chairs, tables, sofas, and the like – and enough plasma screens to distract you from what you’re there to do. One of the plasmas is your scorecard, very similar to the what you have and see in today’s bowling allys. The range is filled with targets – close, mid, and far-range and you play games trying to hit the targets. 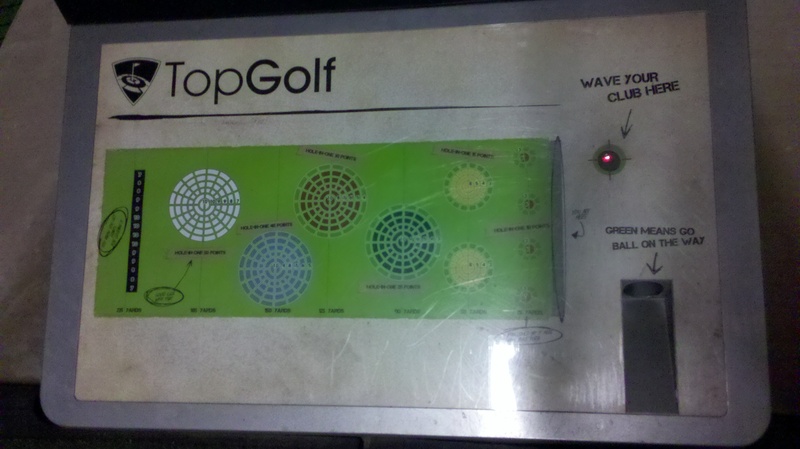 There are a number of different games you can play – from Top Chip to Top Drive to just random Top Golf. Each are centered around trying to get as close to the center of each of the targets with your 20 balls. At the end of 20 balls, the person with the highest score wins. The technology – the balls and the targets have RFID sensors in them and the targets have different point totals assigned to them. So, when the ball makes it into any of the targets, it recognizes the points you’re supposed to get and sends the score back to the scorecard. On top of that, when you hit a target (in most cases), the next ball you hit is worth double the points. So, if you hit multiple targets in a row, your score is multiplied. This means the system must keep track of your specific ball and your specific activity throughout each game. To understand and appreciate the sophistication of this system, now multiple 20 balls by 200 people (I think this is on the low-end of the average number of people at a peak time). That means the system has to keep track of 4,000 different and building “instances” for hours on end. That’s pretty remarkable. What works – the sheer complexity of what the technology has to do and do on a regular and consistent basis goes completely unnoticed (for the most part) to the players. It just works. And that’s what works about the experience. It’s not a headache. You’re able to go and enjoy for hours at a time. Can you picture yourself spending hours – literally, hours – at a driving range? I can almost guarantee a fun time at this one, even if you don’t like golf. The technology is one of the components that makes it fun. What doesn’t – not much. There were a few times where we experienced bugs in the technology. The most common was hitting a target and the score not registering. 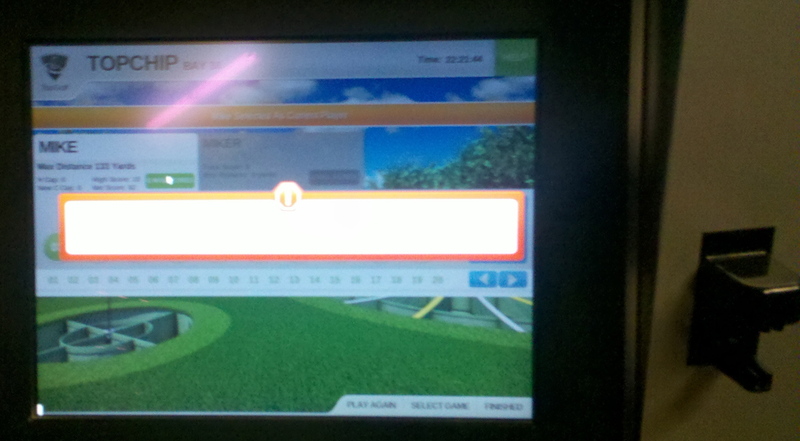 But the system is set up where you can manually enter in your scores, based on where you hit on the target. So, there’s a back-up, which is essential in an experience like this. Bugs are to be expected on this scale. The great thing is – they don’t hamper the experience. “Uh-huh” – this is a great example of enabling technology enabling a different kind of experience than we’ve had in the past. It serves as a technology to better an experience (the game) and make easier a utility (score keeping). And for a business (Top Golf), generate revenue. “Duh” – if you’re ever close to one, go. There just aren’t that many of them around. The technology, the entire operation, and the scale probably make it quite prohibitive, but this is certainly an experience we can expect to become part of our daily lives (and activities) in the future. As always, I can’t thank you enough for reading. I hope you all have a great weekend! This entry was posted in Emerging Technology, Friday 4-1-1, Marketing and tagged enabling technology, Friday 4-1-1, RFID, Top Golf on 06/24/2011 by Mike Cearley. That’s my dad. And me. At 3. 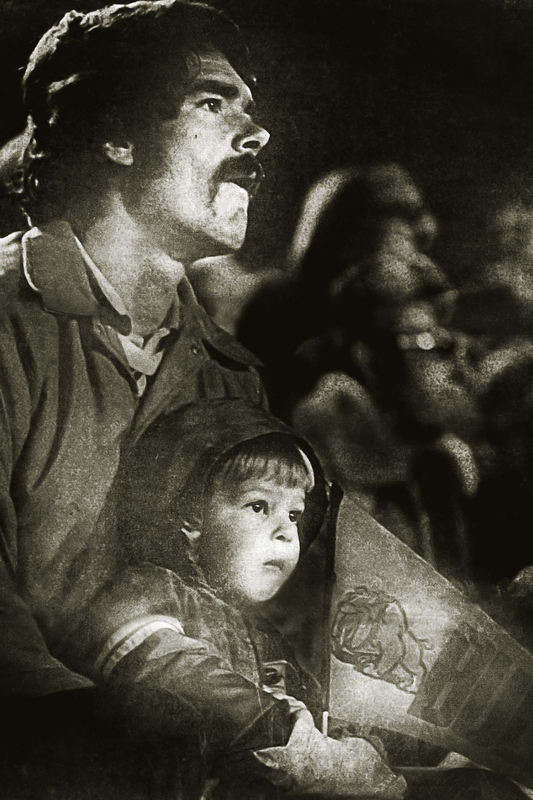 Old enough to appreciate football, but way too young to appreciate that mustache. I am blessed to still have him here and have a good relationship with him. There are many things that dads teach us – good and bad – and for me, personally, so many of those things have stuck with me to this day. So this week’s Friday 4-1-1 is dedicated to him and all the other dads out there. 1. Every decision matters – no matter how big or small the decision or how much of an immediate and/or long-lasting impact it could have, every decision matters. This isn’t to say that every decision requires laborious scrutiny. It’s just to say that there aren’t any decisions – even those we make in a split second to get us to the next thing – that can be taken lightly. I have found that none of my decisions are made in a silo, even if it appears that way in the moment. They play themselves out in one way or another. Sometimes they’re right and sometimes they’re wrong and I do what I can to learn from them. But I know there’s not one insignificant decision that I’m going to make. 2. It’s OK to fail – nobody’s perfect and everybody fails so why not embrace it? I have a tendency to expect to do a great job every time I do something and often times, the first time I do it. And I’ve learned how unrealistic that is. This is actually quite liberating. I think, generally, we all want to do a great job at what we do, but the reality is that we’re not going to do a great job all the time. We might not even do a good job. This should not deter us from expecting to do a great job. But when our performance does not live up to those expectations, it’s OK to throw up the flag, admit defeat, breathe a little, take what we can from it, and move on. The beauty is accepting that we failed and wanting to grow from it. One of the best things about my dad and what I hope to always do – be there in times of failure to lift back up and support. 3. Consistency is key – I am not big on surprises, especially when interacting with others. I want to have an idea of what to expect based on the situation. For learning, I think consistency is key. Children have a tough time learning from someone who is inconsistent in their actions and reactions. They get confused as to what is right and what is wrong and then they don’t know what to do when faced with the same situation again. I really believe that consistency puts us on the path to success. 4. Be fair – fair can be a good thing and a bad thing. There are many things that have happened to me that I think are just not fair. No two ways about it. But that’s the way it is. Life isn’t fair. At least that’s what my mom told me a trillion times. But I think as a dad and as a model to others, fair is an essential filter to have. Fair has compassion and compassion is necessary to effectively lead. “Uh-huh” – the best thing about my dad? He’s supportive. Even when he doesn’t agree with my decisions, he’s supportive of them. And when I succeed, he’s the first in line with a hug and a “great job.” I think this is something we all face every single day. With our own parents. Or children. Or staff. Or colleagues. We are placed in many situations where we can support. And to recognize those situations to the point where we can capitalize on them is often more difficult than actually doing the supporting. It requires selflessness and understanding, that’s about it. “Duh” – being a dad is not easy. Telling our dads or our friends who are dads how thankful we are for them goes a long way. So to all you dads reading this, thank you for teaching and supporting. If you’re anything like my dad, you have some proud children today. This entry was posted in Friday 4-1-1, Marketing and tagged Friday 4-1-1, Leadership on 06/19/2011 by Mike Cearley. There are two things I know to be true right at this moment: 1) I have slacked severely at keeping up with this Friday 4-1-1 series and 2) QR codes are everywhere. And they’re mysterious. Because they don’t include any instructions alongside them. They’re just there. So, I thought it was perfectly appropriate to marry the two to resurrect my Friday’s 4-1-1. 1. 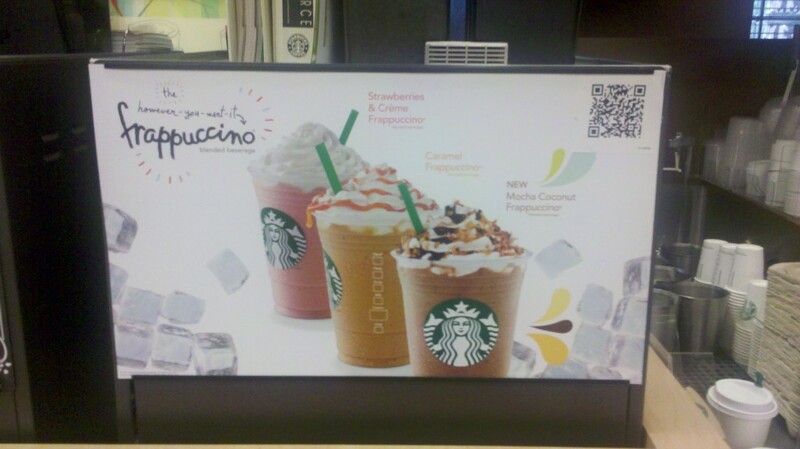 Starbucks hides a gem behind their mysterious QR code – while waiting for my coffee one morning, I glanced over to my left and saw a QR code sticker haphazardly slapped on a Frappuccino ad. When I scanned it, I was sent to a digital scavenger hunt game called SRCH. After playing around with it for a little bit, it’s an awesome experience. You’re given a series of clues that you need to solve and at the end, you could win a number of different prizes. The clues are served up as videos, scrambled words, riddles, and photos. It’s a gem of an experience that seemingly can only be discovered through this unmarked, mysterious QR code, slapped onto this ad like an afterthought. 2. 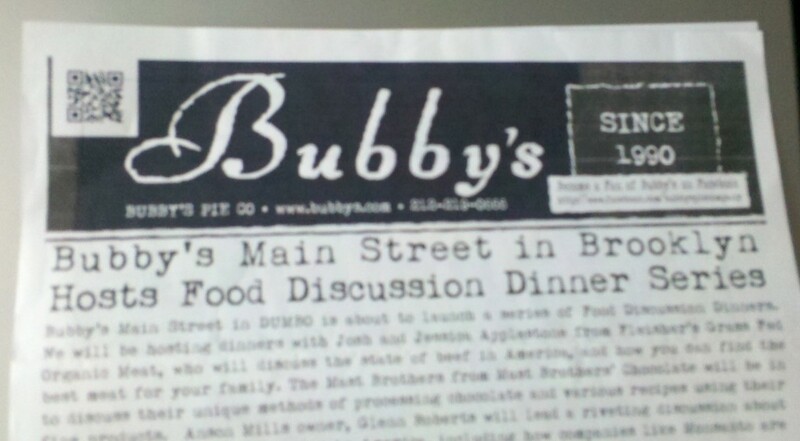 Bubby’s hides a coupon behind their mysterious QR code – I recently had the pleasure of eating a great farm-to-table restaurant in NYC called Bubby’s. On my way out the door after dinner, I looked down and saw a flyer with a QR code up in the left-hand corner. Completely unmarked. 3. NYC Realtor hides housing details behind their QR code – specifically, housing details that I find when directed to a Google search page. Boring. 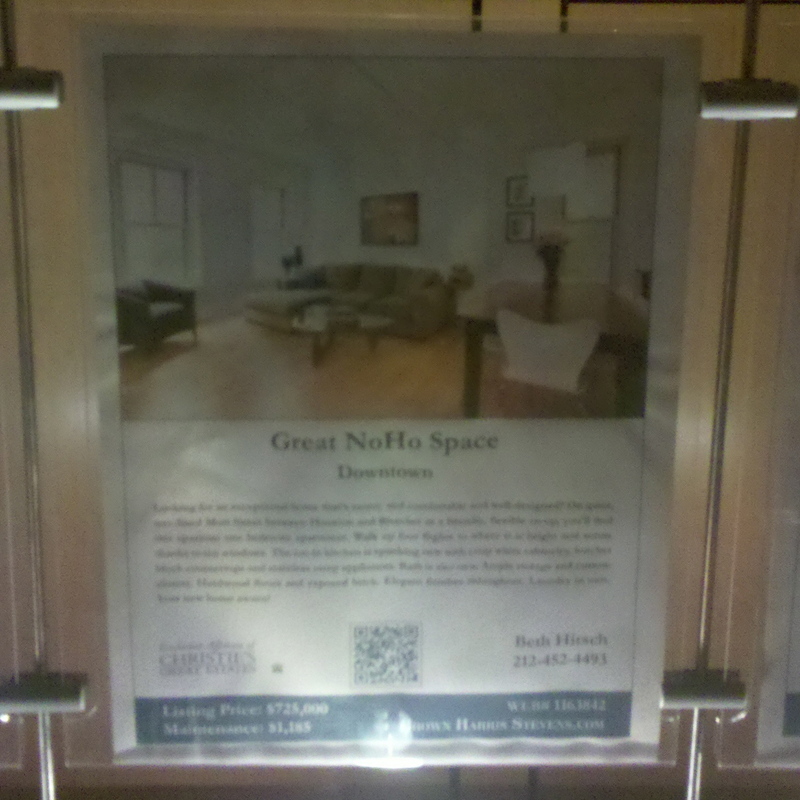 This is what I’d expect to see behind a QR code like this, especially one with no instructions or call-to-action. But here’s the interesting thing – after scanning the two above before this one, I was expecting a nice surprise. And when I didn’t get it, I was let down. Down to the point that I don’t want to scan again? Of course not…. 4. The Canal Room hides their website behind an MS Tag – standard fare again. At least the site behind the code is optimized for mobile. 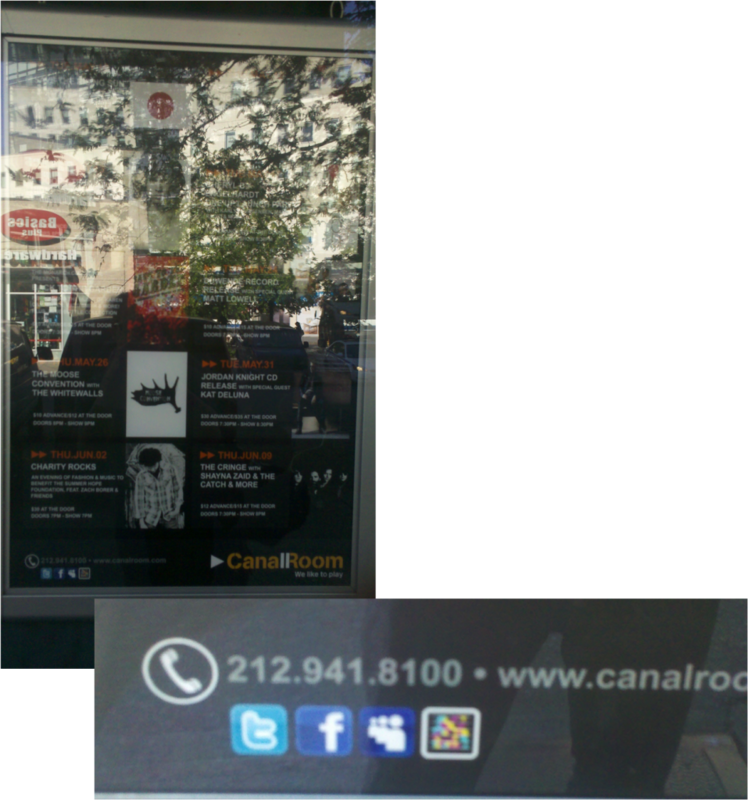 On the site, you can see everything that the Canal Room has to offer – acts, events, showtimes, etc..And I suppose, in this context, right beside their other web properties, this tag makes perfect sense. This the first time I’ve seen a tag placed right alongside the social extensions for a brand, but I think it’s interesting in the sense that it could become as recognized as the Facebook, Twitter, and MySpace logos. “Duh” – if QR Codes are just going to be another version of a URL shortener that sends consumers to the brand website, I have serious questions about whether or not they’ll ever catch on. Especially if they’re not accompanied by any instructions, enticements, and/or calls-to-action. I see them everywhere, but I never see anyone scanning them. “Uh-huh” – I think QR Codes are an ideal enabling technology to catch consumers when they’re out and about, in exploring (and shopping) mode, to drive them to take some sort of action. I also believe that they are a great way to drive a deeper brand experience, but as Starbucks and Bubby’s has shown us here, they can be effective at driving purchase decisions. They’re efficient. Even if these are mysterious. Actually, that could be the key to larger adoption. If they’re synonymous with mystery, would the average consumer scan these things? Have a great weekend, everyone. Thanks, as always, for reading! This entry was posted in Friday 4-1-1, Marketing, Mobile and tagged enabling technology, Friday 4-1-1, Mobile, MS Tags, QR Codes, SRCH on 06/04/2011 by Mike Cearley. I’m big on leadership. I think anyone, regardless of title or age, can step up and be a leader. I don’t believe that leadership is something that you’re born with. It’s out there for the taking and there are many situations throughout our days that are just waiting for someone to step in and be a leader. So, any one of us has the ability to do it at any given time. The problem is, it’s hard. It’s hard to get up enough courage or confidence or just sheer faith to do what no one else is doing. But it requires us all to do it. Lead. You can do it. 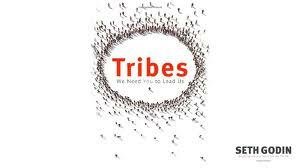 I just finished reading, Tribes: We Need You to Lead Us – a great leadership book – by Seth Godin. The book has been out a few years, so I acknowledge that I’m a little late to the game. But better late than never. If you haven’t read the book, I’d encourage you to do it. It’s a quick read and I bet you’ll walk away feeling as inspired as I did. While leadership is the common theme running throughout, it’s also a call-to-action to form your own movements (of tribes) around something you’re passionate about and no one else can do that other than YOU. So, what are you waiting on? Lead. You can do it. This is important because this is the context that he talks about leadership. Leading people. Active leadership. Leadership that is intended to make a difference. So, today, I’m going to devote this week’s Friday 4-1-1 to my takeaways. 1. Crowds – He draws a lot of distinctions in this book. One of which is the distinction between Crowds and Tribes. Crowds and Tribes are two different things. A crowd is a tribe without a leader. A crowd is a tribe without communication. Most organizations spend their time marketing to the crowd. Mass marketing is marketing to the crowd. It’s marketing to as many eyeballs as you can. All those eyeballs are not connected in any other way than by seeing the ad. They’re not connected by experience or passion or knowledge. Now, this is not a marketing book, per se. But if you look at it through the eyes of a marketer, you can take away a gold mine. If tribes are centered around an idea and follow a leader, then as a marketer, it’s important to know a) what that idea is and b) who the leader is. It’s a hard thing to do – getting to the leader – but the concept totally flips the traditional marketing model. That model was based on reaching as many people as you could. This model – which I would argue is today’s model – is all about reaching the right select few people who will then, in turn, reach many more. In this model, since the message is coming to the tribe through the right select group, it’s much more likely to have a true impact. It’s more likely to turn apathy (or disbelief) into belief. Too many organizations care about numbers, not fans. They care about hits or turnstile clicks or media mentions. What they’re missing is the depth of commitment and inter-connection that true fans deliver. Instead of always being on the hunt for one more set of eyeballs, true leaders have figured out that the real win is in turning a casual fan into a true one. 2. Managers – Another distinction and an important one, especially for “Managers.” I walked away from this book hating everything that he paints “Managers” to stand for. Being a manager, it’s tough, because part in parcel with “management” comes leadership. Defacto leadership, though. True leadership goes further and it’s about inspiring and fighting for change. Not for change’s sake. But because change is required. Management is about manipulating resources to get a known job done….Managers manage a process they’ve seen before, and they react to the outside world, striving to make that process as fast and as cheap as possible. Leadership, on the other hand, is about creating change that you believe in. Fresh and new is welcome. In today’s evolving world – both as a consumer and as a regular ol’ person – nothing stays the same. Rarely do the same tactics work now that worked 5 years ago. Or even 1 year ago. Or even 1 month ago. Our environment is changing and to be special requires change. Managers make widgets. Leaders make change. Deciding to lead, not manage, is the critical choice. What do you do for a living? What do you make? Leaders make a ruckus. Now, I walked away from reading this with the impression that change = disruption. And I don’t necessarily agree with that. I don’t think that change always has to be disruptive to make an impact. Sometimes, the subtlest changes can make the most impact and nothing is disrupted at all. It’s all about making it better. The point is – each one of us has the ability to make things better. We have to find it inside ourselves, though. One of my favorite lines doesn’t have to do with management at all, it has to do with empowerment. You can’t manage your way to initiative. 3. Faith – It’s hard to believe something that you can’t see, or that you haven’t experienced before, or that hasn’t been done before, or that challenges the status quo. To me, faith is one of the single-most important beliefs to have in everything you do. Faith leads to belief and belief leads to confidence. And confidence kills fear and intimidation. With confidence, you can lead. 1. The first thing you need to know is that individuals have fare more power than ever before in history. 2. The second thing you need to know is that the only thing holding you back from becoming the kind of person who changes things is this: lack of faith. Faith is critical to all innovation. 4. Mediocrity & Fear – It’s perfectly reasonable for fear to guide any one of our decisions throughout a day. We each have a litany of responsibilities and it’s important to keep all of them in order. So, I don’t think the “fear” message here is to shirk all responsibilities for the sake of making change. I think it’s more about recognizing all of the things that guide our decisions and trying to put fear in its proper place. And a lot of times, we’re afraid of something that doesn’t exist or will come to fruition. We’re afraid of what we imagine failure to be. What people are afraid of isn’t failure. It’s blame. Criticism. I think one of the results of operating in fear is mediocrity. Mediocrity, any way you cut it, is only ever, at best, good. Good is never great. To be great, you must not accept mediocrity. Ever. You don’t have enough time to be both unhappy and mediocre. Time is one of the only precious resources we have. Perhaps the most precious resource we have. How much time do you want to spend NOT being mediocre? 2. Make it easy for your followers to connect with you. 3. Make it easy for your followers to connect with one another. 4. Realize that money is not the point of a movement. 1. Transparency really is your only option. 2. Your movement needs to be bigger than you. 3. Movements that grow, thrive. 4. Movements are made most clear when compared to the status quo or to the movements that work to push the other direction. 6. Tearing others down in never as helpful to a movement as building your followers up. I’m taking bits and pieces out of this book and leaving with some of the things that stuck with me. But like I said, the context to look at everything through is leading a group of people (tribes) to affect change (movements). You don’t have to be in charge or powerful or pretty or connected to be a leader. You do have to be committed. Give this copy to someone else. Ask them to read it. Beg them to make a choice about leadership. We need them. We need you. If you want to read my copy, email me and I’ll send it to you. All I’d ask is that you send along to someone else. Thank you, as always, for reading. Now go lead. You can do it. This entry was posted in Friday 4-1-1, Marketing and tagged Friday 4-1-1, Leadership, Seth Godin, Tribes on 04/25/2011 by Mike Cearley. I live in the country. No two ways about it. So, when I look around at all the (or lack of) technology in my everyday path out in the real world, on a daily basis, I’m certainly seeing the lite version. When I go closer to the city, or god forbid, in the city itself, it’s drastically different. Last month at SXSW in Austin, everywhere I turned there was a different technology, either displaying something in my face or enticing me to interact with it. And Austin, as a city, is completely different from Dallas as a city, as far as outdoor technology goes. I’m often actually amazed at how naked downtown Dallas is compared to other major cities like Austin or Chicago or NYC. Still, technology is all around us, everywhere we look, even in a naked city like Dallas, and even in the country where I live. The sign outside the City Hall/Library, then the local Walgreens sign, then the Redbox outside its front doors, then the church’s sign, then the bank ATM, then the (boring) car wash clock, followed by the train ticket kiosk, then the train station sign, and finally, the sign inside the train. That’s the journey every morning. So, I want to use today’s Friday 4-1-1 to reflect on the good, the bad, and the ugly of this technologically-fascinating & rich journey. 1. 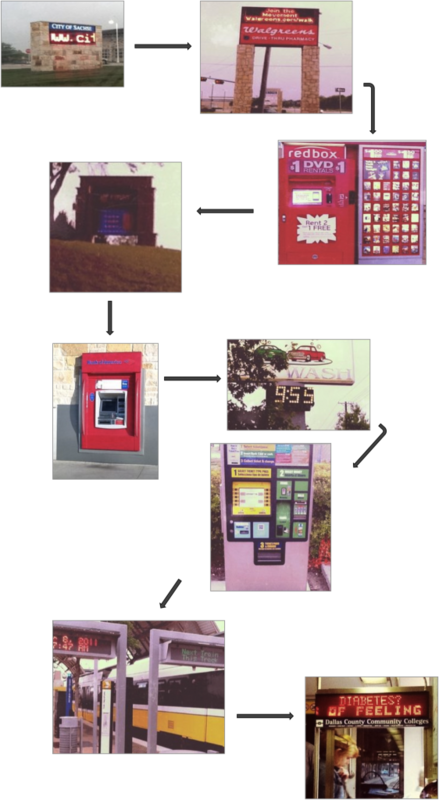 Snooze-fest – man, oh man, how boring can you get in terms of digital signage/interactive kiosks? These are the quintessential examples. The 1.o of both. And they’re all around because I mean, if they’re all the way out here in the country, they’re surely in the city, too. But you know what? I notice them because they’re…. 3. As a connector – even boring signs like these have the ability to drive consumers deeper – at the very least, to a website. I’m amazed at how many of these signs that don’t do anything other than slam those (scrolling) messages right down our throat and pay no attention to the opportunity to do a little bit more. It’s ironic that whoever is making those decisions – like the one to install digital signage – is choosing not push the consumer farther down the brand experience path. I know it’s hard. But welcome to 2011. 4. Utility machines – yes, digital signage and kiosks like this are good for something. And it’s utility. Not experience. I talk a lot about always looking for ways to create an experience through channels/platforms like these, but it can’t, and shouldn’t, be done all the time. I do wonder what the 3.0 version of these will be, though. “Duh” – technology makes delivering messages more efficient. That’s probably the most obvious thing I’ve ever said on this blog?!?! But here’s the thing – how fancy do you need to get when the only objective is to deliver more messages, more efficiently? Seems to me that there would be a couple of solutions out there in the market that could handle all of the different ways and scale to achieve this objective. As it is now, it seems like there are 100’s of solutions. Why? “Uh-huh” – sometime in the (near) future, these signs will all be connected – to each other and to us. The Internet of Things, while futuristic and fantastical, is real and coming. If we don’t see a 3.0 version of these signs before then, well, I guess we will then. I wonder if network operators and the whoosits and whatsits in the industry understand? Yes, my daily journey is low-fi, in terms of DOOH/IOOH. But I notice it all and on a level, appreciate it. For the most part, it serves its purpose. What do you see on your regular daily activities? Is it anything like this? This entry was posted in Digital Signage, Friday 4-1-1, Marketing and tagged Digital Signage, DOOH, Friday 4-1-1, IOOH, Kiosks, The Internet of Things, Walgreens on 04/08/2011 by Mike Cearley. I starting writing this post a couple of days ago while we were in the middle of the road trip. It has since ended, all of the road trippers made it to Austin safely, and they’re still talking about it. I planned the first Chevy Road Trip last year, too, and this is one of the most rewarding initiatives I’ve ever worked on. I’m proud to share this work and my learnings. My last few days have been spent on a huge activation for one of our clients (Chevrolet) at SXSW. Correction – my last few months. But over the last few days, the activation that I’ve been leading (The Chevy SXSW Road Trip Challenge) has been in full force. We identified some of the top digerati, entrepreneurs, and filmmakers from 9 cities in North America, provided all of them with Chevy vehicles, and asked them to document their journey all the way down to Austin. We’ve developed 11 challenges for them to complete, and over the last few days, we have literally been unfolding them in real-time. The road trippers learn more and more as they’re going and it’s making for some great content and most of all, great experiences. I am continuously amazed at the power of people and technology. And even more specifically, technology that enables connections – like social media platforms. A couple of weeks ago at DSE, in Shelly Palmer’s keynote, he said the biggest change in technology today is the speed and scale that it enables connections and amplifies voices. It’s so true. I have experienced this first-hand over this road trip. Every time I do something – small and large scale – I try as hard as I can to be aware of and absorb what is happening in the weeds and all around. I call on many things from past experiences and even still, I learn something new in every circumstance. And learning is only so good when you don’t use it to teach others. So, here are some of those learnings from this road trip. I hope you find, at least some of it, helpful and/or insightful. 1. The brand is not in control – regardless of how much you literally prescribe a journey, it is harder and harder to predict exactly how much of it will go according to plan. You can set up the best, most defined parameters and structure it in a way that has the most potential to yield positive results, but in the end, you are not in control. The people are. The best thing you can do is to be there, be open, and be willing to offer encouragement and/or help. 2. Flexibility, if not THE key, is a critical key to success – you can always bank on curveballs when people are involved and you turn the experience over to them. If you don’t have a plan B, C, D, E and F, you’ll quite likely be scrambling to solve problems that present themselves regularly. Foresight is certainly important, but if you’re not willing to be flexible, you shouldn’t participate in social media. The key, really, is to be responsible in your flexibility. 3. Over communicate, over communicate, over communicate – there is no such thing as enough proactive communication, especially for something like this that is so intense and occurs in a specified timeframe. Everyone involved behind the scenes – the community managers and the brand team – have many things on their plates to deal with. To assume someone knows something or will take care of something is death. I’m sure you’ve heard it before – communicate early and often. 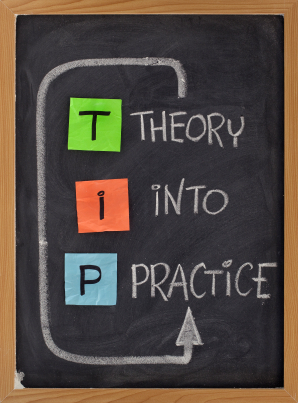 It’s a simple concept, but difficult to practice. 4. Interpretation is pesky thing – how members in the community interpret various components of an initiative like this is going to be different than how you, as the organizer/manager, interpret them. Our road trip centered around 11 challenges that each team had to complete over their 3 days on the road. While we wrote those challenges to be loose and open to interpretation, we found out very early on that how we expected the teams to interpret those challenges was completely different from how they actually interpreted them. In this instance, it was a good thing. It made the content more unique and diverse. But the real important thing here is – you must be crystal clear in your communication with the community if you don’t want anything to be misinterpreted. Even then, it’s bound to happen. “Uh-huh” – we worked with a non-profit called Adopt-a-Classroom and scheduled stops for each of the teams along their way. It was, by far, the most inspiring thing to watch how the teams embraced the classrooms and the impact that those classrooms had on the teams. The teams were asked to raise $200 for their classrooms and every single one of them took it as a collective call-to-action and got their own communities involved and raised much more than they were asked. One team even raised $5,000+. This was a good cause. It’s one of those causes where just a little can make a huge impact. Social media – and the connections that it enables, the speed and scale – is a powerful doin’-good machine. “Duh” – I’ve heard many people ask, “what is the brand getting out of this?” And from my perspective, the answer is simple – get people to experience the cars and people behind the initiative and then tell their communities about it. Good and bad. This is a learning process and what better way to learn than have 40+ people essentially living in the cars for 3 days. The road trippers have been open and honest and in order to provide value and get better, that’s what the brand needs. It’s all quite simple, really. It’s just a matter of doing. Here’s a cool site to check out everything road trip-related and a video to boot. As always, thanks for reading! If you have any questions about this or anything else, I’d love to hear from you! This entry was posted in Friday 4-1-1, Marketing and tagged Adopt-a-Classroom, Chevy, Conferences, DSE, Friday 4-1-1, Road Trip, Social Media, SXSW on 03/12/2011 by Mike Cearley.